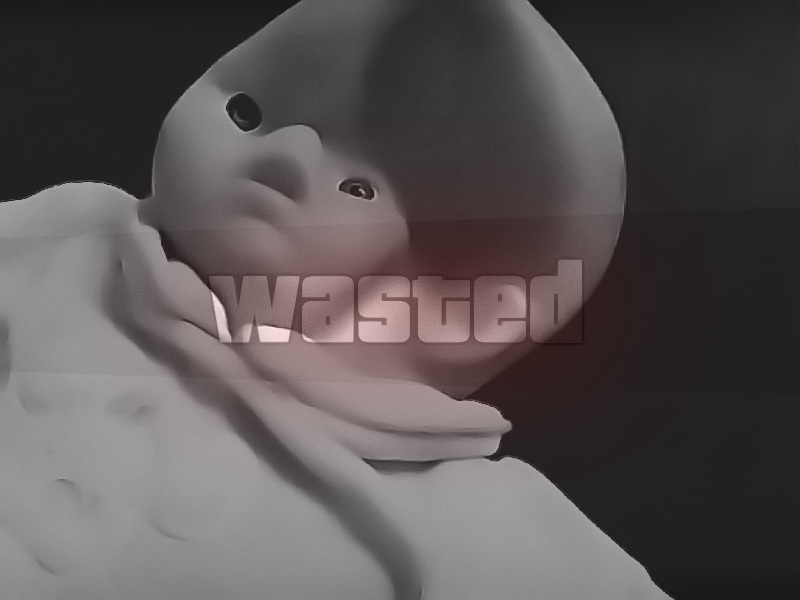 Have you ever been sucker punched by 12.9 inches of recyclable aluminum? If you have, then you know very well that using a tablet in bed can be dangerous. When you accidentally drop your iPad on your face. When lying on a pillow, most people tend to hold their device directly above their head. In order to tap the “play” button of yet another funny cat video, you need to let go of your iPad with one hand. This leaves you oh so vulnerable to pulverization via the latest tablet technology. But these are the perils of iPading in bed. There’s nothing we can do about it, right? A gamer’s lot is not much different. 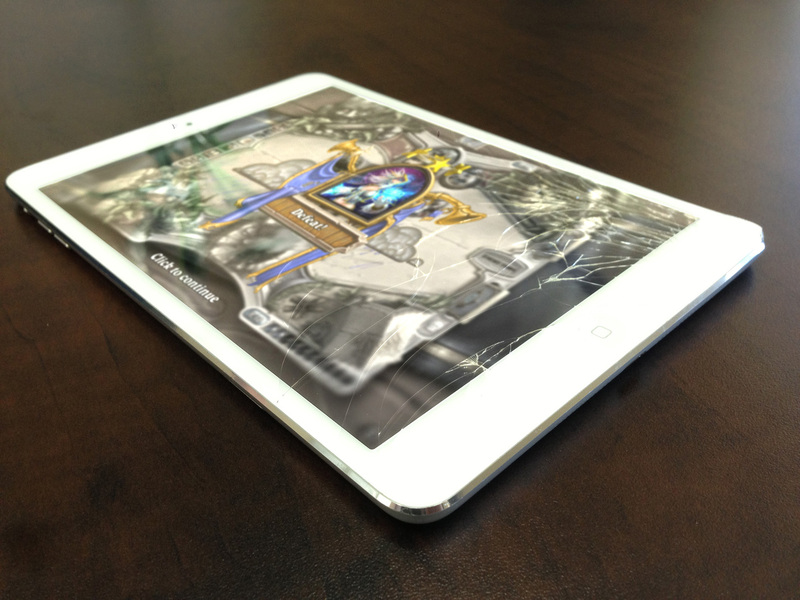 Unfortunately, when gaming on your iPad, the challenge is sometimes less the game’s own mechanics than wishing you had a third arm to maneuver the tablet into position. For example, in the collectible cards video game Hearthstone: Heroes of Warcraft, a duel can last anywhere from 5 to 15 minutes. You need to tap and drag your fingers on the screen. Manipulating any tablet for that long isn’t comfortable. Let’s face it: your arms will cramp up long before the Control Priest player gets to the last card in his deck. Is a strained neck really worth an otherwise perfectly enjoyable Hearthstone match? Or take popular MOBA game Vainglory for iOS or Android. Ads for this tablet game claim that you will “Crush your Opponents with your Bare Hands.” That is possible, of course, as long as your bare hands aren’t cramping up and you don’t accidentally drop your device while trying to stretch your neck and shoulders. I can hear your thoughts: what about using a game controller with action/platform games and emulators? In this situation, playing with a controller has some serious appeal. But where do you put your iPad so that it looks more like a perfect monitor and less like a dead Frisbee? Don’t tell me that you aren’t getting a little tired of bending over your tablet, or propping it up on seven pillows to try and find that perfect angle. The answer to all of your questions is: tstand, tstand, and tstand (in that order). The tstand is a neat little gadget that was created primarily for tablet use in bed. 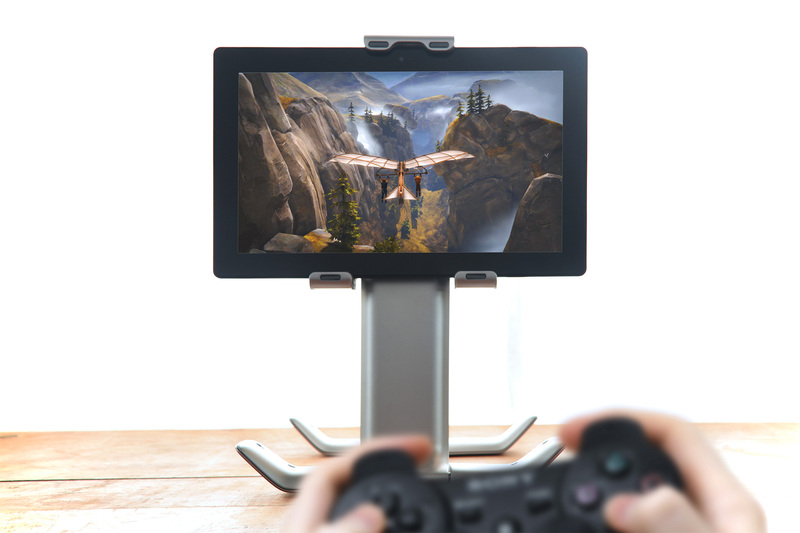 But we quickly realizes that it makes for an equally awesome tablet gaming accessory. It is an impossible human feat to hold a tablet and use your fingers to play a game at the same time. 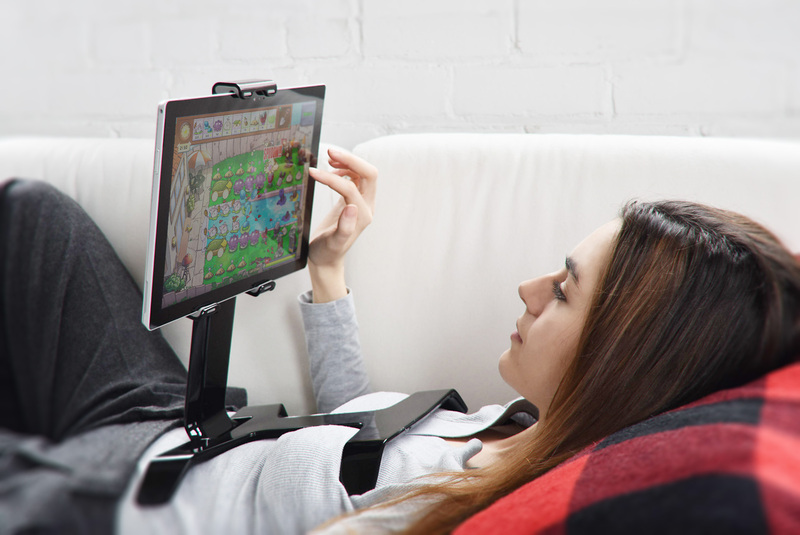 Tstand holds your tablet for you and adjusts your screen to the perfect angle (no matter what position you are in). This leaves your hands free so you can focus entirely on your game. Thanks to its 360 degree reversible base, you can easily move from the bed or the couch to a desk or a table. Tstand hugs your body when you are sitting or lying down. It then transforms to become the lightest gaming station ever when in desktop mode. In fact, you will be so busy showing off those newfound pro-gaming skills, you won’t even realize that you’ve just saved yourself an entire paycheck’s worth of Advil.